Murray Forman studies media and culture with a primary focus on popular music, race and age. 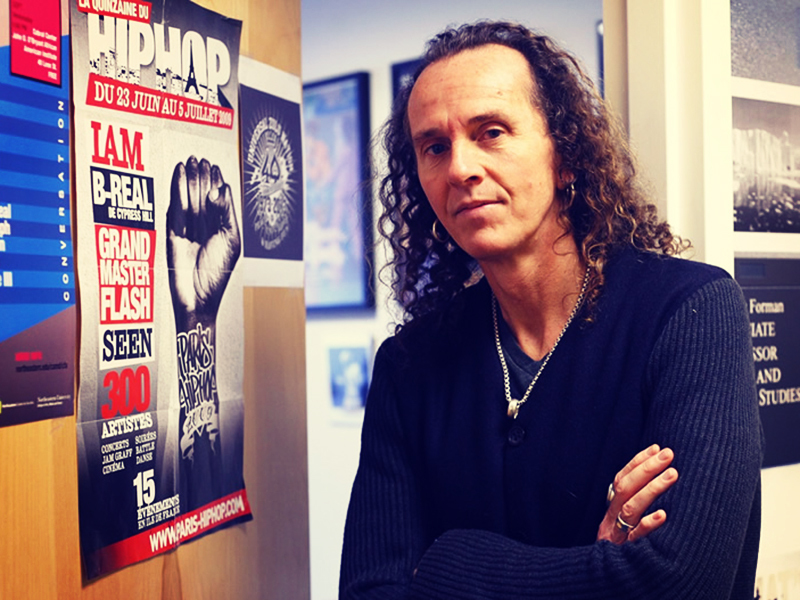 For over twenty years he has engaged in research about hip-hop culture, contributing to the emerging field of hip-hop studies. He is author of The ‘Hood Comes First: Race, Space and Place in Rap and Hip-Hop (Wesleyan University Press, 2002) and Co-editor (with Mark Anthony Neal) of That’s the Joint! : The Hip-Hop Studies Reader (Routledge, 1st edition 2004; 2nd edition, 2011). His most recent book is One Night on TV is Worth Weeks at the Paramount: Popular Music on Early Television (Duke University Press, 2012). Professor Forman serves on the advisory board of the Archive of African American Music and Culture at Indiana University and he is an editorial board member for several scholarly journals including, Journal of Popular Music Studies; Music, Sound and the Moving Image; Popular Music; Souls: A Critical Journal of Black Politics, Culture and Society; and Topia: Canadian Journal of Cultural Studies. His current research involves the issue of age and aging in hip-hop and the theorization of hip-hop culture in and as diaspora. Professor Forman was an inaugural recipient of the Nasir Jones Hip-Hop Fellowship at the Hip-Hop Archive, the Hutchins Center for African and African American Research, Harvard University (2014-2015).